Essay Writer Service Features: Why Our Writers Are Worth Hiring? Why people prefer essay writer service to hiring freelance writers offering their assistance on social networks etc.? The answer is obvious: writer services give assurances and contribute to confident ordering. Those assurances are definitely worth paying extra for. Essaycool.com understands you and offers the team of the best writers at your disposal. In order to support the best quality essay writer service we hire only academic writers with Master`s and Ph.D. level writers. They are definitely proficient in their scientific fields, so they can review the requested issues deeply for their customers. All our writers have the experience to meet the customers` expectations better. All writers working on EssayCool.Com have tutoring experience. This is an explanation for why our writers explain so clearly and assist so well. In order to be hired by essay writer service with EssayCool.Com, our writers need to show the proofs of writing experience. Obviously, they have a long experience of writing to get their degrees, as well as experience of working on customers within the custom academic writing sphere. The quality of service is much influenced by the friendliness of paper writers and their being willing to help. All our experts pass psychological tests as well as job interview to confirm that they will do their best to meet the customers` expectations. How to Select the Paper Writer You Want? Usually, customers are not involved into a writer selection process. We analyze the order instructions and assign the writer, who is available and has the appropriate knowledge and education to meet the demands of the particular assignment. However, there are 2 ways to request the desired writer. Those customers, who are not the first time users of essay writer service by EssayCool.Com have a good opportunity to get the same writer for their next order. All you need is just request the writer from the order # ***** under the paper instructions for the new one. Also, your friend can share his favorite writer with you! If you are ordering for the first time, or you need to get a writer for assignment on different topic, you can request the writer of the higher category. There are 3 categories of writers: Best Available (free options), top-writer (+25% to the order price) and ENL (+30% to the order price). 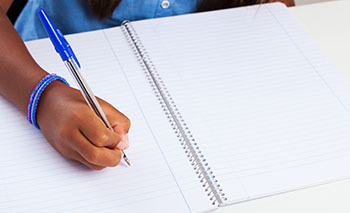 To hire the best writers of the best essay writer service you are welcome to select those categories in the order form.